The annual $30,000 Rea Award for the Short Story is awarded to LORRIE MOORE. Lorrie Moore’s first collection of short stories, Self Help, was published in 1985, producing reviews comparing her to everyone from Grace Paley to Woody Allen. Subsequent collections include Like Life and Birds of America which The New York Times Book Review cited as “one of our funniest, most telling anatomies of human love and vulnerability.” She is also the author of several novels, and has edited I Know Some Things: Contemporary Stories About Children Viewing The World and The Best American Short Stories 2004. 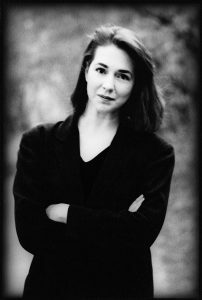 Lorrie Moore has been the recipient of a Lannan Foundation Fellowship, The National Endowment of the Arts Award, a Guggenheim Fellowship, The Irish Times International Prize for Fiction and a Literature Award from the American Academy of Arts and Letters. Her stories and reviews have appeared in The New Yorker and The New York Review of Books, as well as other periodicals, and regularly appear in annuals such as The O’Henry Awards and The Best American Short Stories. One of her short stories, “You’re Ugly Too,” was chosen for The Best American Short Stories of the Century, edited by John Updike. She is currently Delmore Schwartz Professor in the Humanities at the University of Wisconsin.